This holiday, you have the opportunity to double your impact! Through December 31, donations will be matched dollar-for-dollar, but more than $60,000 still needs to be raised to ensure that the full $150,000 matching gift is met! Be part of the generous community that helps men like Reed’s dad live more days. Because of you, my dad lived more than four years. His life was extended by new treatments, which came directly from federal research funding that ZERO fights to protect and increase every year. Your support of ZERO’s mission was truly a gift beyond measure. Our ZERO Prostate Cancer Run/Walk Series is the only national event series dedicated to the fight against prostate cancer. Thank you for making 2018 a record-breaking year! 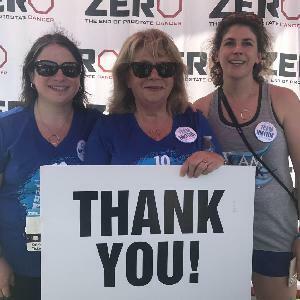 The ZERO community mobilized in even more cities across the country this year, hitting 42 events from Los Angeles to San Antonio to New York City. In June, we kicked off in Chicago and our final race of the year was last month in Virginia Beach. One of the most moving moments in 2018 was honoring Dr. Sandy Siegel, who was diagnosed earlier in the year with prostate cancer. Dr. Siegel helped start the run/walk series in partnership with Chesapeake Urology Associates, and is a beloved leader in the ZERO community. Going forward, the Baltimore race will now be named the Dr. Sanford J. Siegel Prostate Cancer Run/Walk. Because of our amazing fundraisers, urology hosts, and generous run/walk partners including premier sponsor AbbVie, the series raised more than $4.2 million and brought together more than 25,000 patients, survivors, caregivers, families, and loved ones. Funds raised help provide free local screening across the country, critical support for patients, and grassroots advocacy efforts to protect and increase research funding. We can’t wait to see the impact we will have together in 2019! My brother had prostate cancer earlier this year and is a survivor. What an emotional, intimate event. I’m so glad we were there. We have decided this will be an annual event for our family. Are you a Patient or Caregiver in Need of Support? You are not alone, ZERO Connect is here for you! Our Facebook-based online support group is where those affected by prostate cancer can share their stories, ask questions, and connect with one another on their prostate cancer journey. Join nearly 1,500 fellow prostate cancer patients, survivors, caregivers, family members, loved ones, and friends who are supporting one another as they face this terrible disease. Become part of the ZERO Connect community today! Thank you to hundreds of supporters nationwide, this was our beard-iest year yet! Our Grow & Givers brought their ‘stache-tastic facial hair fundraising to the next level last month. To date, generous cause-driven companies, police stations, and individuals raised more than $100,000 to help end prostate cancer. Our top fundraisers and teams worked to raise awareness and help patients and their families, and we’re grateful for every one of you! 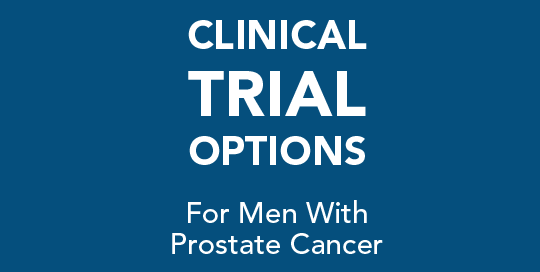 ZERO has teamed up with Sanguine, a provider of at-home clinical research services, to give you the opportunity to help advance Metastatic Castration-Resistant Prostate Cancer (mCRPC) research from home and earn $50 for your time. Participation in this at-home study is voluntary and requires a simple one-time blood donation. 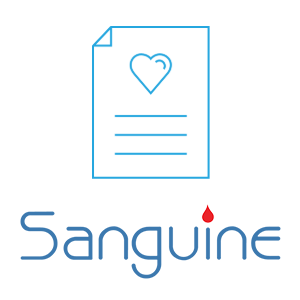 For every qualified participant, Sanguine will donate $200 back to ZERO. To speak with a research coordinator: call (818) 804-2463 or visit the website. To all of our caregivers, this one’s for you! We are thinking of you this holiday season and hope these tips from a former caregiver can help you and your loved ones. 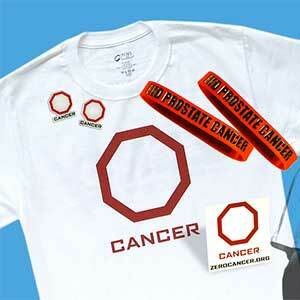 Looking for a holiday gift that can help fight prostate cancer? Check out the ZERO store and see our latest gear! © 2019 ZERO – The End of Prostate Cancer. All rights reserved. ZERO is a 501(c)(3) non-profit organization.